These pictures of Australian frogs were submitted by John Bohrman. 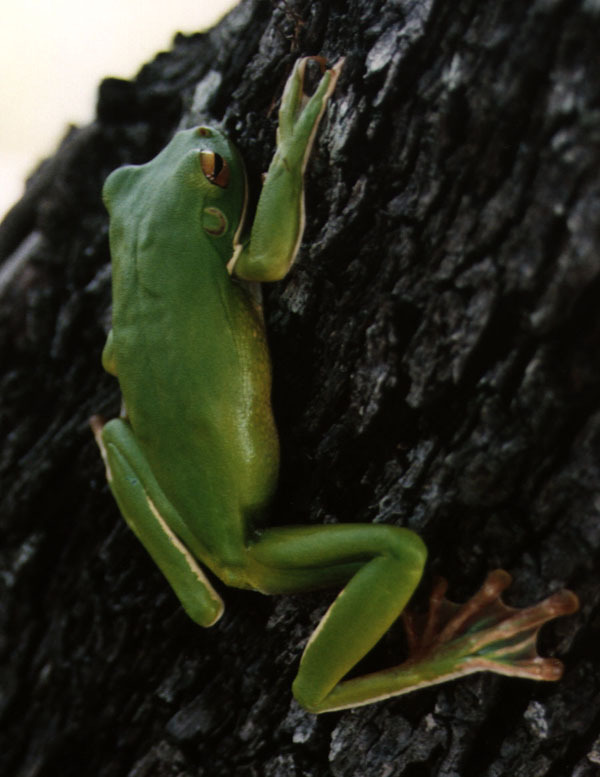 Litoria infrafrenata, Townsville, Queensland (67K). 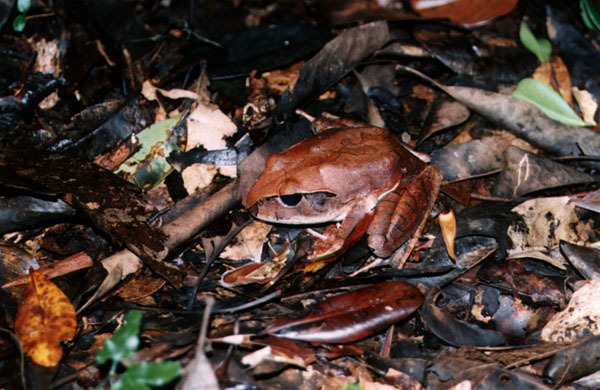 Northern Barred Frog (Mixophyes schevilli), Cape Tribulation, N. Queensland (79K). 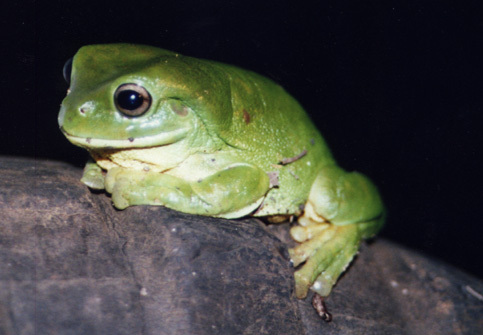 Litoria caerulea, Fogg Dam, Northern Territory (51K).